Explore What’s Nearby Our Apartments in Peabody, MA! 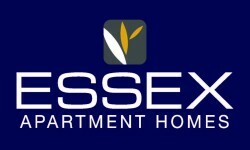 At Essex-Apartments you will enjoy a wonderful location in Peabody, MA. Located just a few minutes from the beach, Essex is the perfect place to enjoy the wonderful outdoors. Our apartments are also located right down the street from the Northshore Mall and plenty of great dining spots. Experience our luxury apartments in Peabody, MA first hand. Give us a call at (855) 519-0626 or submit an online application today!